How big is Second Life? 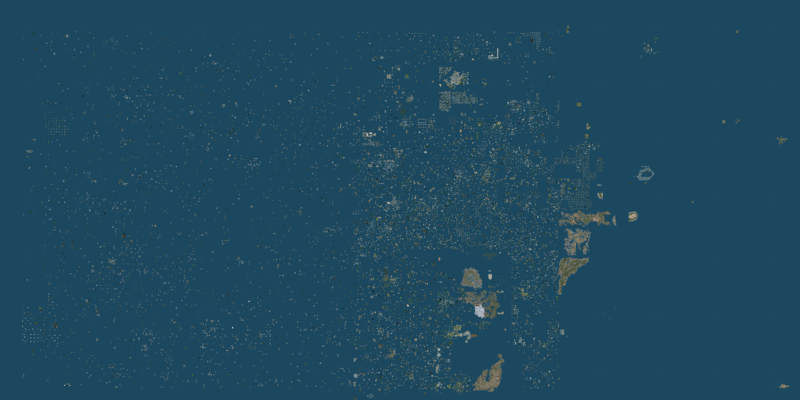 The map comes from this site and you can download the full 13MB version to get a better understanding of the magnitude of Second Life. 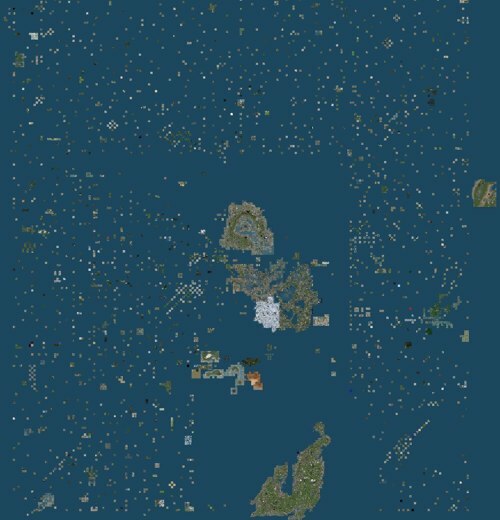 We’ve featured maps of the Second Life grid before, and they’re useful to reinforce the scope of virtual worlds. Those who haven’t spent time in a large world have no concept of their size and complexity until shown something 2D like the map above. Combine it with a brief tour of Second Life and the penny starts to drop. Back in November 2007, Second Life was roughly the size of two Wagga Waggas at nearly 900 square km- it’s grown a lot since then to 1871 square km, which isn’t that far off the size of the Australian Capital Territory at 2400 square km. That should also help provide some mental imagery for the skeptic. Note: Philip Rosedale stepping down from the CEO position at Linden Lab is a dominant story in the news at present, which we’ve covered here. Linden Lab have released their latest set of metrics through to the end of January 2008. The metrics show that the Australian active user population is 10,885, up marginally from last month’s 10,644. Australia remains at its long-standing 11th position in the world, with 2% of the overall active user population. The lack of growth is becoming a longer term issue and it’s natural to wonder what the impact of ongoing glitches and lag (due to no local SL servers) is having. What do you think? This is a fascinating site discussing the challenges the world faces with population growth – it’s hard to work out the underlying ideology of it but there’s an obvious business connection. Worth a loook even if just from a design viewpoint.